Two suspected US missile strikes have killed nine people in North Waziristan, intelligence and security officials said on Friday. One strike on Friday evening in the town of Mohammad Khel killed four Taliban and a second in Datta Khel killed five, two officials said. 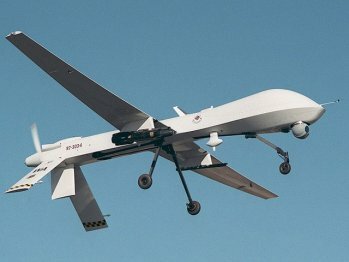 In the second strike, a US drone fired two missiles on a militant compound in Charkhel village, in the Dattakhel area, 25 kilometres west of Miranshah, security officials said. He said that according to initial indications, all of the dead were local militants. But another intelligence official also in Miranshah said, “We are investigating a report that there were four Turkmen fighters among the dead”. The area of the strikes in North Waziristan is believed to be controlled by the Tehreek-e-Taliban Pakistan.